One of the cornerstones of the Bethel undergraduate student experience is—and has always been—spiritual formation. One space where that formation happens is in student-led “Shift” Bible studies in first-year residence halls on Wednesday evenings. Shift is often mentioned as one of the most impactful and memorable parts of a student’s first year at Bethel. Steffenhagen says the new program—dubbed, simply, SmallGroup—was developed out of a desire for students of all ages to further their spiritual development on campus. He worked with Assistant Dean for Residence Life John Farris and resident directors to dream about the future and lay the groundwork for more robust ministry offerings for returning students. On housing applications in spring 2015, more than 400 students indicated they’d be interested in a Bible study for upperclassmen. Of those 400, one in four said they’d be interested in leading one. While there won’t be a set curriculum, groups will have access to Chapel-based discussion questions and a system of accountability and support from both the Office of Campus Ministries and student leaders trained to suggest materials and guide discussions. 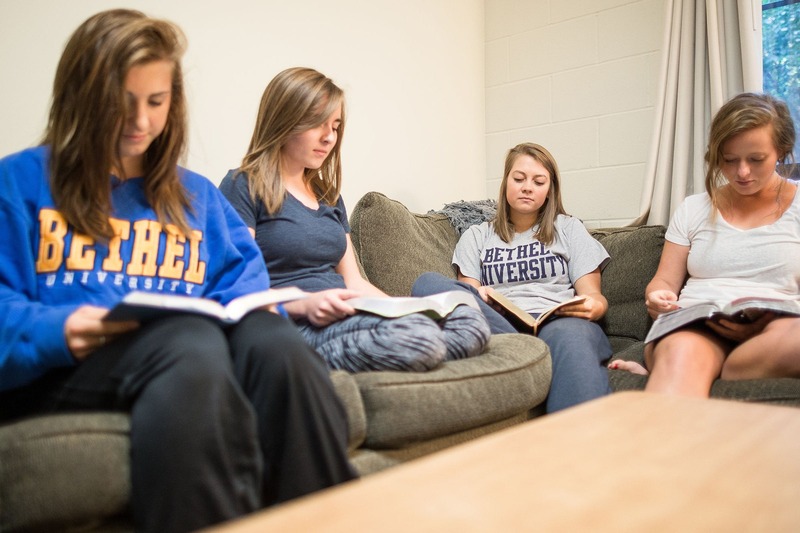 Read more about student spiritual development at Bethel.